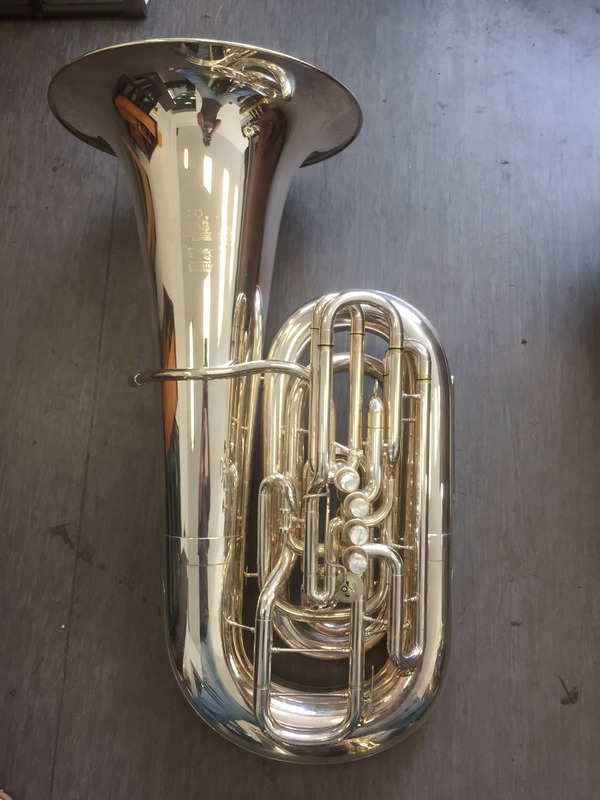 I'm putting my personal B&S PT6 CC Tuba, New York model in silverplate up for sale. It is in like new condition, no dents, no dings, no scratches. In addition to the factory New York mods (4th slide bore gap adjusted for a long pull, tuning slide lengthed taper, bracing, etc) all 4 pistons have been vented and the slides have all been alligned and lapped for fast pulling. Tuba plays as good as it looks. After being so long in Germany, I prefer to play BBb tuba and it is way too sad to leave this tuba in a closet. If you need a case or gigbag, let's talk. Tuba is in Berlin Germany to test. Please feel free to write me with any further questions. Last edited by TheBerlinerTuba on Sun Dec 10, 2017 12:24 pm, edited 2 times in total. I remember playing a PT-6P NY and a normal PT-6P back to back at an ITEC years ago and thought the NY edition blew the normal one out of the water. I figured the New York version would become the standard, but it didn't seem to catch on for some reason. Insured shipping to most major American airports for around 300€. I am very interested in your horn. I'm currently a master's student at Indiana. Please PM me.